These days, high-street and designer fashion brands don't just do clothing. Most tend to do some lifestyle offerings too—whether that's appliances (remember the Dolce & Gabbana mixer? ), ornaments, or homeware. We've already told you about La Redoute, Zara and H&M but might we also alert you to the fact that Next also do incredible pieces for your house? 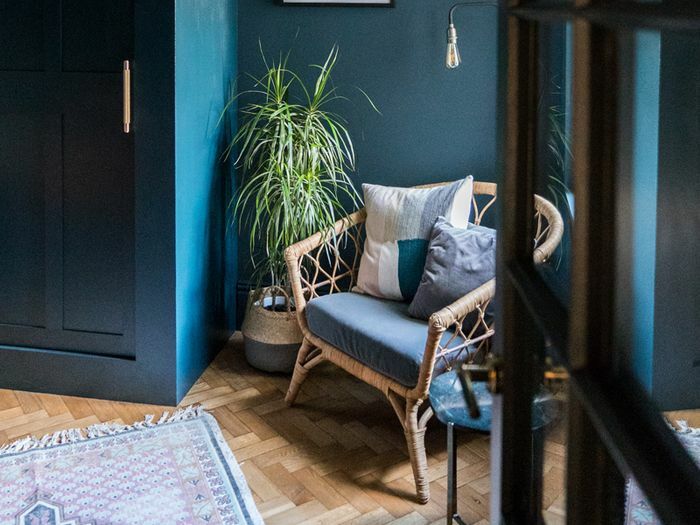 Yes, we were surprised too, but after spotting a seriously cool lamp on The Frugality following Alex Stedman's home renovation, it appears that we've been missing a trick when it comes to this high-street shop. The lamp that The Frugality owns. So chic, and you can even select the size you want. Add a touch of gold to your home. Did someone say Millennial Pink? Such a cool vintage vibe. These look like artisanal pieces. You don't have to get this in blue. You can also get it in pink or gray. Add some fun to your soft furnishings. Slogans are good enough for our tees, so why not our laundry bags? Who knew you'd be able to deck out your whole home on this store?